Former Governor of Bayelsa State, Chief Diepreye Alamieyeseigha, in an interview with newsmen, revealed that President Obasanjo promised to embarass him politically. 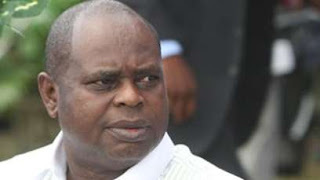 While talking to Sun Newspapers, Alamieyeseigha referred to Obasanjo as a devil incarnate. He also spoke about his choice of Goodluck Jonathan. He said“I needed somebody that, if I travelled outside the State, I could sleep well. It was a combination of these factors that made me to choose Jonathan as my deputy then."